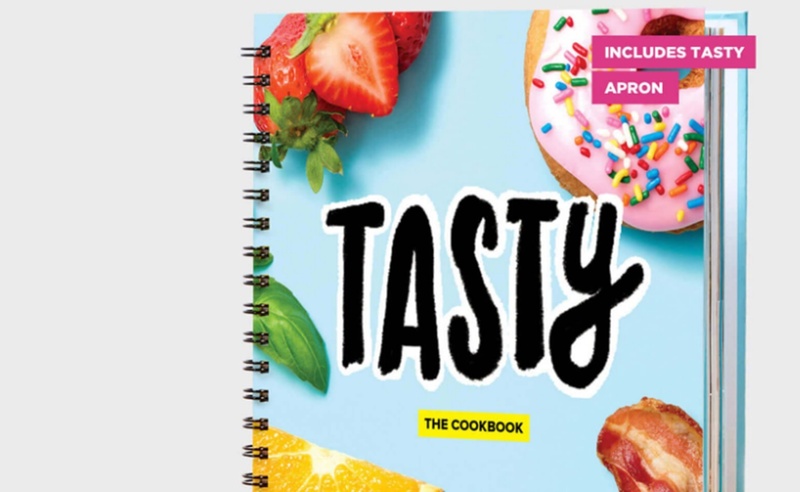 The Tasty book — which became available on November 23rd — translates some of the channel’s most popular recipes into text and pictorial formats. What makes the Tasty cookbook different from the literary ventures of other food channels is its fully-customizable nature. Potential buyers are prompted to select seven categories, which carry names like “one pot wonders,” “breakfast carbs,” and “happy hour.” Their selections then dictate the recipes that appear in their copy of the book. For those picking up the Tasty cookbook as a gift, a personalized note can also be added. Beyond the cookbook itself, purchasers will also receive a Tasty-brand apron. As you might expect, these bonus perks push the price of Tasty’s literary effort beyond what one would typically pay for a cookbook. The full package costs $39 and comes in a snazzy box. With so many books emerging from the digital video community, BuzzFeed deserves kudos for shaping its Tasty cookbook into a unique offering. Its steep price may disqualify it for some potential purchasers, but for the foodies who want to take their kitchen skills beyond the realm of one-minute gifs, it’s an ideal holiday present.